There isn’t any public holiday in March, but this wouldn’t stop us from partying. And yes, this month, we have a-month-long celebration and party together with good friends, enjoying the scrumptious food and pints of Guinness! Yay! 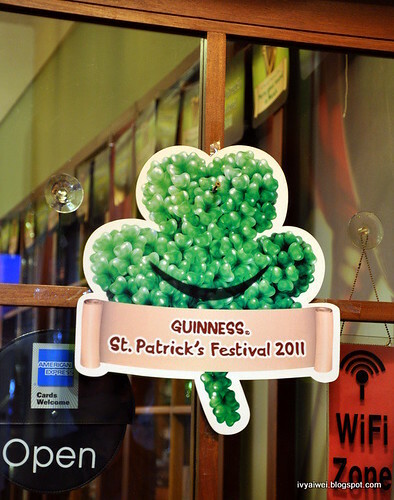 The Saint Patrick’s Day Month is here!!! A-month-long celebration from 1st March 2011 to 31st March 2011, that’s the reason for happy-hour-ing and partying and enjoy the fun with all the people around. Thanks to the invitation from Fitou Brasserie, together with Chris&Christine and Citygal, we had an early Saint Patrick’s Day Celebration here! 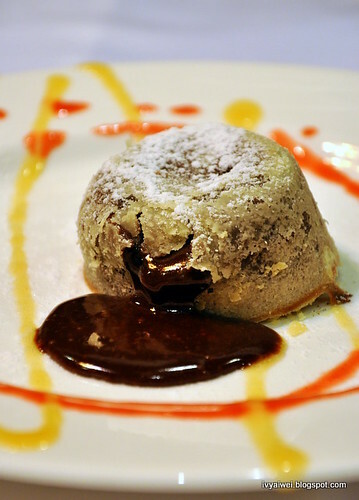 Currently, Fitou is running their Saint Patrick’s Festival Menu which is exclusively available from 1st March to 31st March 2011. 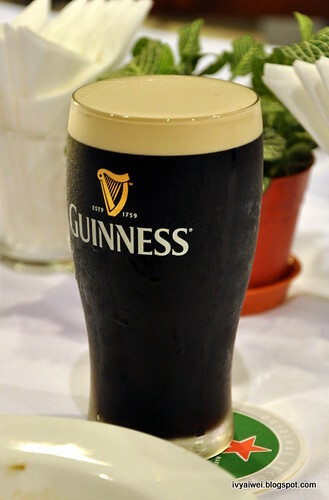 You can enjoy their Guinness infused ala carte at RM 34++ or the set that comes with a perfect pint of Guinness at just RM 48 nett. Irish Beef Stew with Guinness served with Carrots and Potatoes. 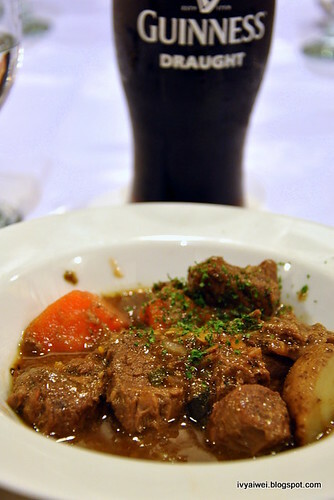 Soft beef stew infused with stout beer. I wasn’t able to try out how great it is. But according to them, it was flavoursome. I tried the gravy with the help of bread, Yummm, just can’t help mopping up the gravy. All of them love this a lot. Medium beef cutlet was succulent and flavoured with hint of Guinness and the additional of deep fried leeks actually tang up the beef chunks. I heart this a lot. Sweet and sourish apricots enclosed by thick pork slices, then a layer of bacon and finally the layer of crispy buttery pastry; served with mash potato. Just drench them with the Guinness infused creamy sauce. Yum, the taste was memorable. People, Let’s shout Merry Goes Round with Guinness this March!!! its great event:). And, no words to describe about that. 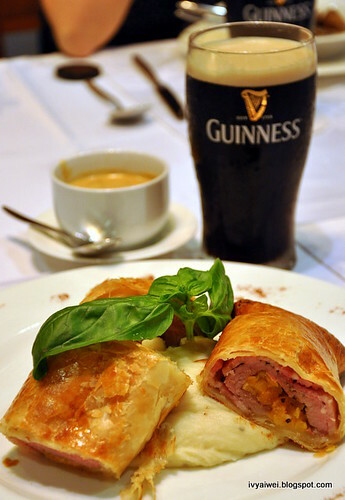 Guinness in cooking, honestly – I have never tried before although I am aware this is being very popular. Next time, I am going to try some recipes with Guinness adding inside and check whether I like the taste. I very like the environment at Desa Park City there.. 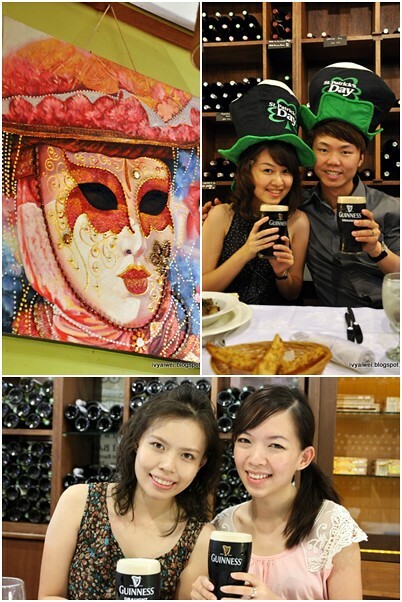 Thank you for taking time off to try my specially prepared dishes in conjunction with St. Patrick's Day. 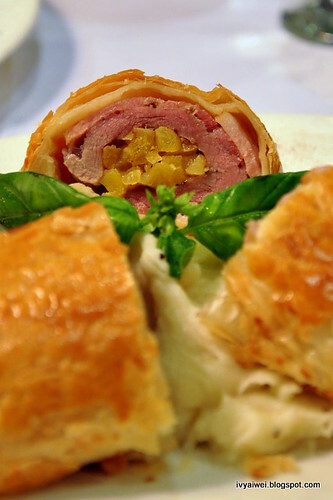 Firstly, the Pork Wellington. I am very pleased you loved the dish and its Guinness infused cream sauce. The balance between the pork and apricots are a classic combination. The tenderness of the pork and the sweetness from the apricots are just bursting in flavours. Secondly, the Guinness Sauteed Beef. 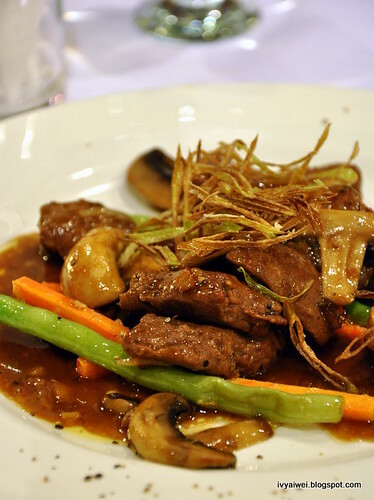 Yes, it is intended to 'look' a simple dish, but however, once you bite into the beef, you will find it tender and perfectly braised in Guinness, herbs and cooking liquids. As for the stew, I would say it is down to an individual's personal taste. I thought it was tender enough and at the same time, hold its chunkiness. It does not break easily into smaller bits, which is my intention when preparing this stew. Well, the promotion ends 31st March. 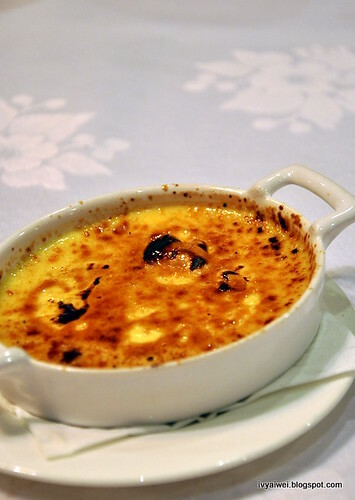 So hope to you see again to have these three dishes.